Hyderabad-based Darwinbox, an HR software services startup, has raised an undisclosed amount in seed funding from Mohandas Pai's family fund 3one4 Capital, Tracxn Labs,Aaruha Technology Fund and Endiya Partners. Rohit Chennamaneni, one of the founders of the company, confirmed the development to Techcircle. 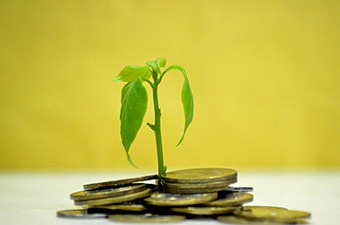 The new funds will be used to develop more modules and to expand sales and marketing, according to The Economic Times. The software-as-a-service (SaaS) startup, run by Darwinbox Digital Solutions Pvt. Ltd., offers services such as human resource information system, human resource management system, payroll management, application tracking system, employee engagement, performance management system and predictive analysis. The company was founded in August 2015 by IIM Lucknow alumni Jayant Paleti, Rohit Chennamaneni and XLRI Jamshedpur alumnus Chaitanya Peddi. Another startup in this space is Bangalore-based Blueleaf Software Technologies Pvt. Ltd which operates a cloud based SaaS platform called Weballigator. Last month it raised $375,000 (around Rs 2.5 crore) in angel funding. Last month, Bangalore-based firm Zwayam Digital Pvt. Ltd also raised seed funding. Zwayam runs an online recruitment platform targeting SMEs through a cloud-based SaaS solution. Recently, Bangalore-based Greytip Software Pvt Ltd, which provides cloud-based HR and payroll management solutions to small and medium enterprises (SMEs), raised its Series B round of investment.